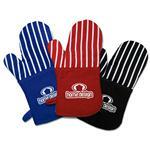 Promotional Oven Mitts and Custom Pot Holders with your custom logo. 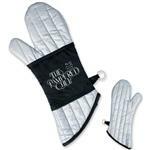 Used everyday in kitchens throughout the world, our custom oven mitts are of quality construction and will last for years to come. 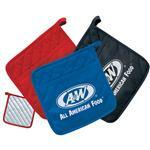 With your advertising message used throughout the week, these are great home promotional items. 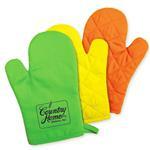 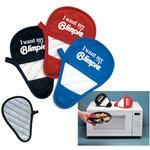 We carry many additional oven mitt styles including silicone, terry cloth, finger mitts and more. 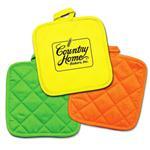 Call us at 888-332-ADCO (2326) to discuss your next custom oven mitt or pot holder.